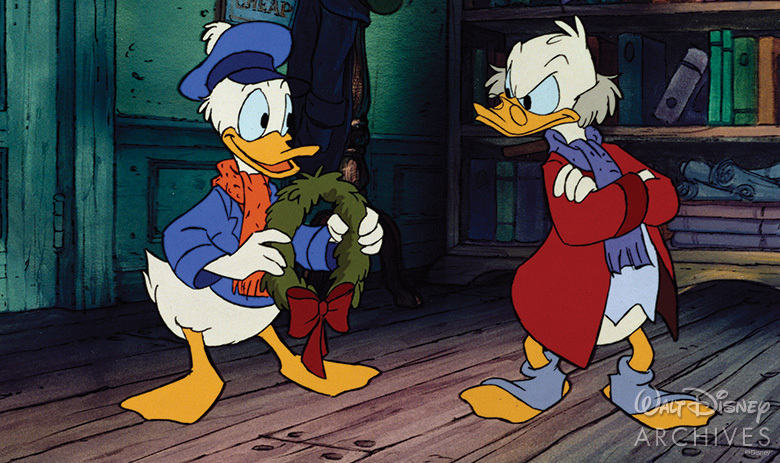 ‘Tis the Season for Scrooge—Scrooge McDuck, that is! 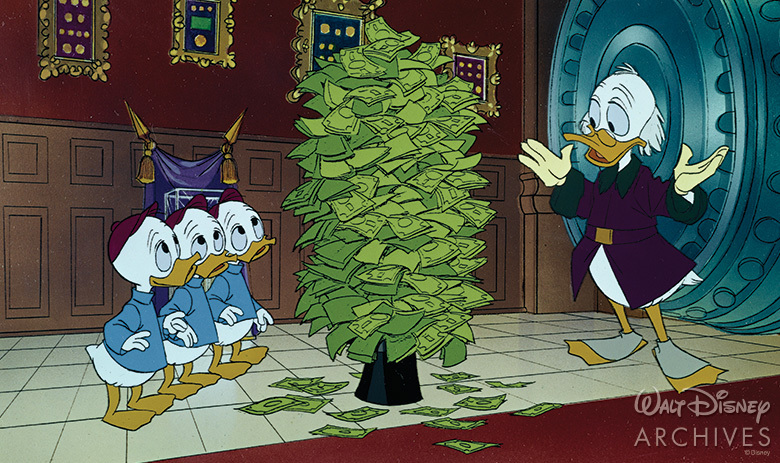 Uncle to Donald Duck, Scrooge is the world’s richest duck. Created by Disney Legend Carl Barks in 1947, Uncle Scrooge is, according to Barks, “by any measurements the richest character ever to live in the realm of fiction. He is also the stingiest. He roams the earth and even outer space in search of additional riches to store in his vast Money Bin.” This money-loving miser, who is never happier than when he’s diving around in his accumulated currency, has more fans than there are coins in his Money Bin—and since that famed structure atop Killmotor Hill in Duckburg houses three cubic acres of cash, that’s a lot. To celebrate seventy priceless years of Scrooge, here’s a wealth of fun facts to highlight how this top-hatted tightwad waddled into the hearts of Disney fans everywhere. Even some of Scrooge’s staunchest fans may not know that he made his moneyed debut in the pages of a Donald Duck comic book. Created by writer-artist Barks as a foil for Donald in a holiday-themed adventure entitled “Christmas on Bear Mountain” (Donald Duck Four Color 178, December 1947), Scrooge McDuck was named after the miserly Ebenezer Scrooge from A Christmas Carol by Charles Dickens. 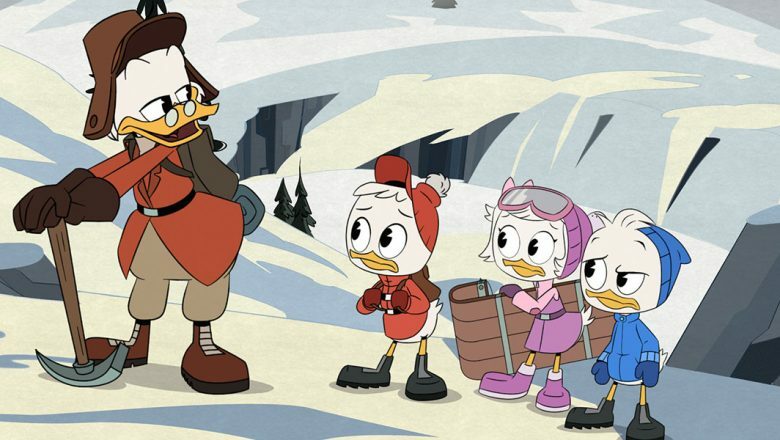 In this crazed Christmas tale, Uncle Scrooge invites Donald and the nephews to his mountain cabin for the holiday, intending to test their courage by dressing up as a bear—until a real bear and her cubs intervene. Portrayed here as a stereotypically grumpy old man, Scrooge was intended to be a one-shot bit player until Barks realized that he had created a personality with truly rich (in every sense of the word) potential. With a hot temper almost more heated than Donald’s, Uncle Scrooge became the perfect sparring partner for Disney’s most famous Duck, and Barks featured the feisty skinflint in more and more stories. Scrooge’s comical combination of unstoppable spryness and his overtop obsession with money in Donald Duck stories, short and long, captured readers’ imaginations, and the miserly mallard was awarded his own comic book, starting with Uncle Scrooge (No. 1 Four Color #386) in March 1952. 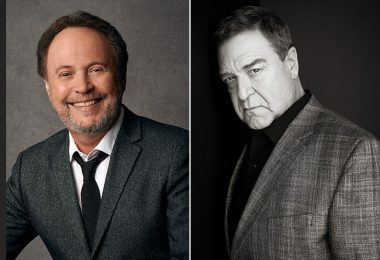 In that first epic adventure, “Only a Poor Old Man,” Uncle Scrooge explained to Huey, Dewey, and Louie how he acquired his fortune: “By being tougher than the toughies and smarter than the smarties… and I made it square! 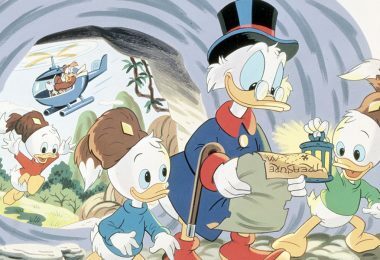 You’d love your money, too, boys, if you got it the way I did—by thinking a little harder than the other guy—by jumping a little quicker.” Donald and the nephews are along in these Scrooge-centric stories to lend a helping hand (even if they are only being paid 30 cents an hour). 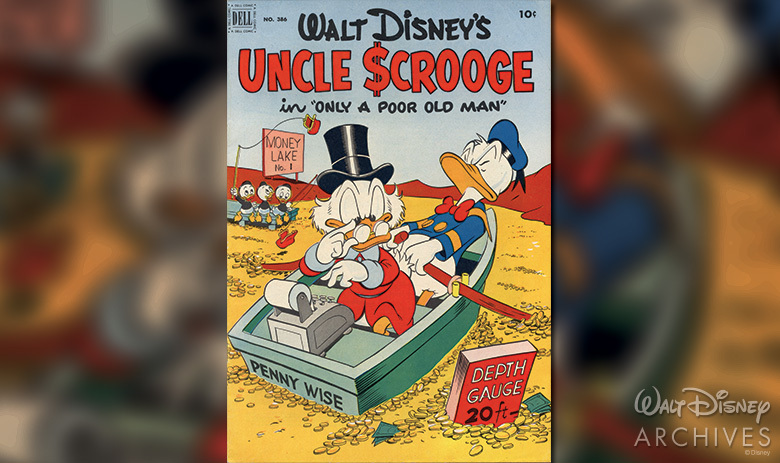 According to a 1967 Disney Publicity report, Uncle Scrooge was Disney’s biggest-selling U.S. comic publication; in fact, it was one of the most popular of any comic book, and is still published today. So fascinating is this fabulously wealthy webfoot that his comic-book exploits are published all over the world, where McDuck is known under many monikers, including Oncle Picsou (France), Roope Ankka (Finland), Patinhas McPatinhas (Spain), and Paperon de’ Paperoni (Italy). Scrooge’s international appeal is apropos given his worldwide escapades. “A major reason for his rapid rise to stardom was his globe-trotting story roles,” Barks once said. “I sent him on location to many romantic areas of the world… Always I tried to make his adventures believable. 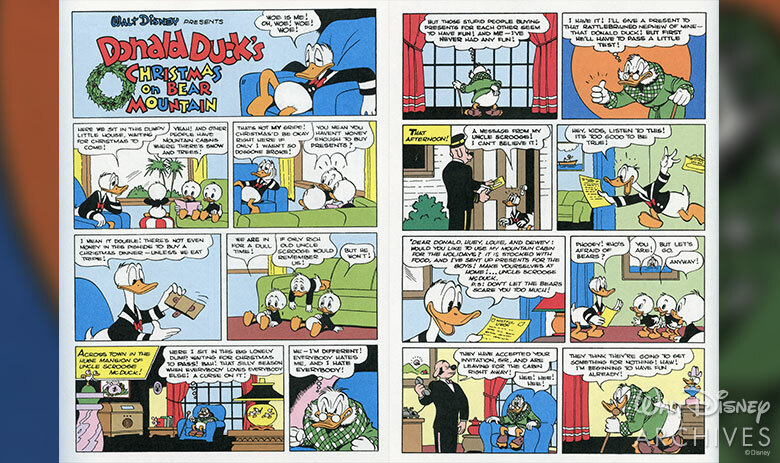 If Uncle Scrooge voyaged up the Yukon River, the background scenery and the menaces had to be endemic.” A special example of Scrooge’s far-flung comic book adventures was originally published in Denmark in 1992–1994. Written and drawn by modern Scrooge chronicler Don Rosa as an extension of the McDuck mythos created by Barks, The Life and Times of Scrooge McDuck, an award-winning series, was printed in the United States in the pages of Uncle Scrooge in 1994 and 1995 before being published in graphic-novel form in 2005. Scrooge’s hit status on the newsstands led to even more publishing prominence. The parsimonious collector of cash was soon sought out by fans in coloring and activity books (not to mention puzzles, board games, and recordings), and, beginning in 1964, he was a prime player in the Donald Duck newspaper comic strip, drawn by Disney Legend Al Taliaferro. 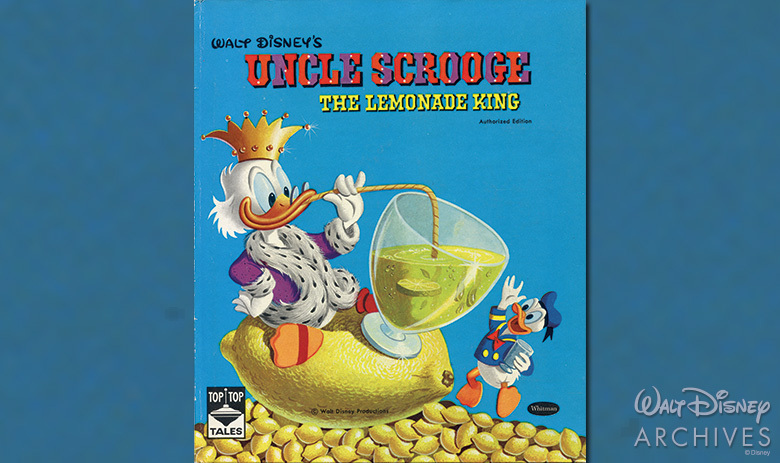 Two of Scrooge’s most prestigious printed-page projects were two hardcover storybooks, both published in 1960 and boasting illustrations by Carl Barks: Donald Duck and the Christmas Carol, a Little Golden Book in which Donald and the boys scare a little Christmas spirit into their impossibly wealthy uncle; and Uncle Scrooge: The Lemonade King, wherein business maven McDuck, purveyor of Scrooge’s Scrumptious Lemonade Parlor, tries to outsell Lemonade Leo by the bucket and the bathtub. Though there had been attempts to develop a theatrical cartoon starring Scrooge—Barks himself wrote a proposal for an animated adventure in January 1955—but Scrooge made his first animation appearance in the opening sequence of the Mickey Mouse Club TV series. 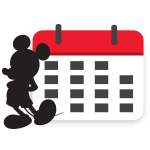 Viewers first saw Scrooge pop up—literally, for he suddenly emerges from the Big Bad Wolf’s stovepipe hat to join in the festivities—when the five-days-a-week series was first telecast on October 3, 1955. That Scrooge should have been included in this splashy celebration along with such Disney celebrities as Mickey, Goofy, and Pluto (and nephew Donald, too) was a testament to McDuck’s vast popularity as a comic-book bestseller. After two decades at the top of the comic-book biz, Uncle Scrooge finally made it to the big screen in Scrooge McDuck and Money (1967). Promoted as “The Tale of a Penny-Pinching Billion-Dollar Duck,” this animated featurette stars Scrooge (voiced by veteran Disney voice artist and dialectician Bill Thompson) expounding on economics to Huey, Dewey, and Louie—charging them three cents for his advice even though they end up investing $1.95 in Scrooge, Inc. Released on March 23,1967, this animated Scrooge-extravaganza was one of the last productions personally produced by Walt Disney. Scrooge returned to his Dickensian roots by portraying his stingy namesake Ebenezer Scrooge in Mickey’s Christmas Carol (1983). 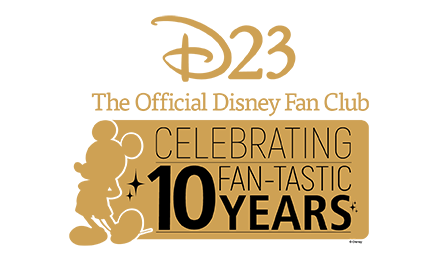 Produced and directed by Disney Legend Burny Mattinson, this Academy Award®-nominated featurette has become a Yuletide tradition, thanks in no small part to Scrooge’s sterling performance. This also marked the first time that Alan Young performed McDuck’s Scottish burr in animation. 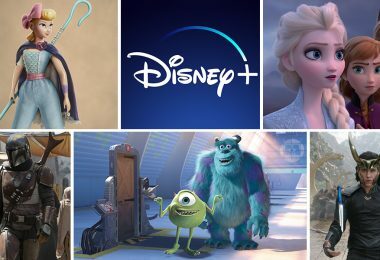 He originally voiced the cantankerous coin-counter in the 1974 Disneyland Records album, Dickens’ Christmas Carol that inspired the animated featurette. 8. 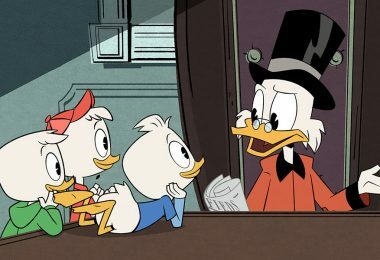 Every Day Scrooge is out There Making DuckTales! 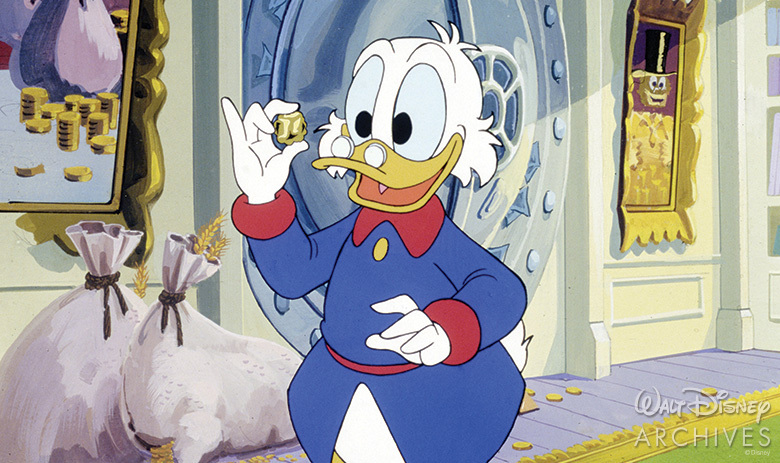 Scrooge really strode into the spotlight when DuckTales debuted on September 18, 1987, with the money-obsessed adventurer again voiced by Alan Young. 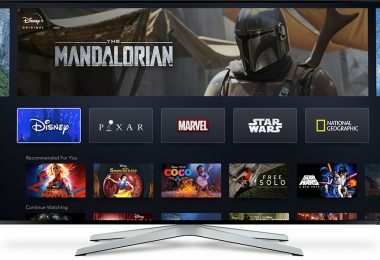 For this enormously successful daily adventure series—DuckTales remained the No. 1 animated syndicated show for four years and became the cartoon cornerstone of The Disney Afternoon when the popular programming block upon its debut in1990—creator and producer Jymn Magon and all the creative talent behind the show sought to capture the fun, characterization, and adventure of Barks’ stories, even while expanding beyond them for the half-hour TV animation medium. 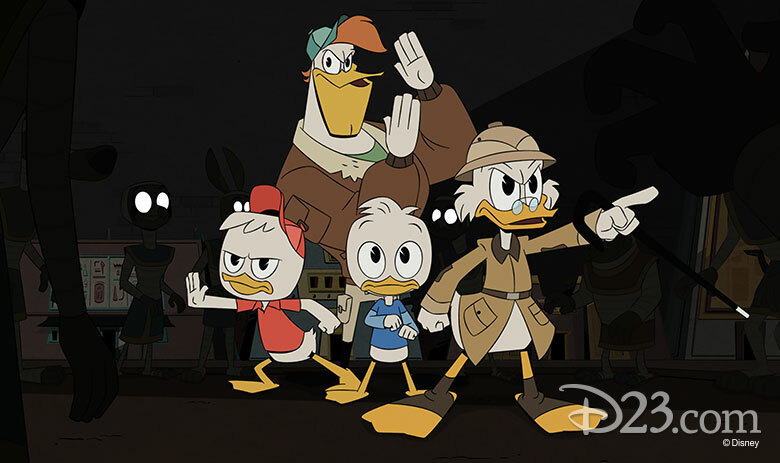 Some of the episodes were directly inspired by specific Uncle Scrooge stories, including “Back to the Klondike,” “The Giant Robot Robbers,” “The Lost Crown of Genghis Khan,” and “Micro Ducks From Outer Space.” The TV series inspired a 1990 theatrically released DuckTales the Movie: Treasure of the Lost Lamp—Scrooge McDuck’s first feature film.